I'm an avid TOMS wearer, but a brutal Northeast winter has shelved my beloveds for nearly six months. Warmer weather in the recent forecast equals a revival- and inspired a quick mock ad campaign. 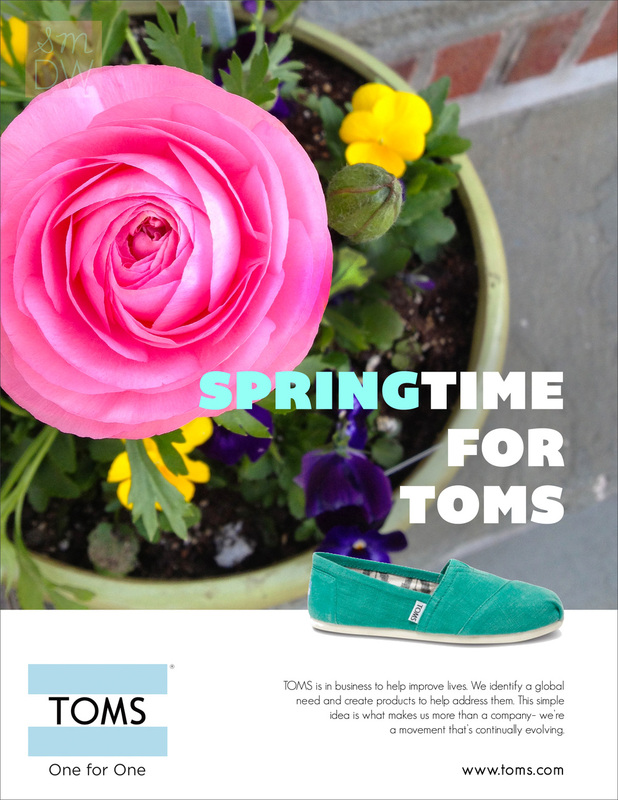 Please note, this campaign is in no way endorsed by or paid for by TOMS. The Studio Blog is where you can check out work in progress, side projects, creative musings, and the occasional puppy.